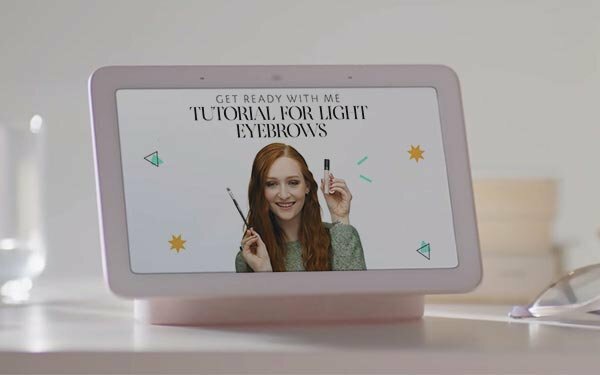 Sephora’s entire catalog of beauty tutorials and how-to videos has been added to Google Home Hub. To start, a consumer can say “Hey, Google, play contouring videos by Sephora,” or whatever makeup technique is desired, to start the hands-free video, which then can be paused by voice, or skipped forward or backward, as detailed in a demonstration video. “Our stylish new smart speaker with a visual display gives you the tips to look stylish and smart too,” stated a Google blog, noting that more than 80 million how-to related searches occurred on YouTube last year. Google Home Hub also is being made available for sale on Sephora.com and at 10 flagship Sephora stores.